Having opened in May 2016 we were thrilled to learn just a few months in that we had made the shortlist in the ‘Best Newcomer’ category in the Surrey Life Magazine Food and Drink Awards. We had absolutely no idea who we were up against until we received the all important phone call from our judge who was named as Donal MacIntyre the famous Irish investigative journalist, specialising in investigations and undercover operations. He explained that our category had been incredibly close but that we had made the final three and we would popping along to visit us very soon. A few weeks on and we were nervously awaiting our judges visit! The cake counter was brimming with cakes, the teacups were gleaming, the sun was shining and the tables were set! When Donal arrived we were all pretty anxious but he soon put us at ease and it was lovely meeting his three little children too. They were an absolute delight and tucked into our cupcakes, bubblegum icecream and pink lemonade. 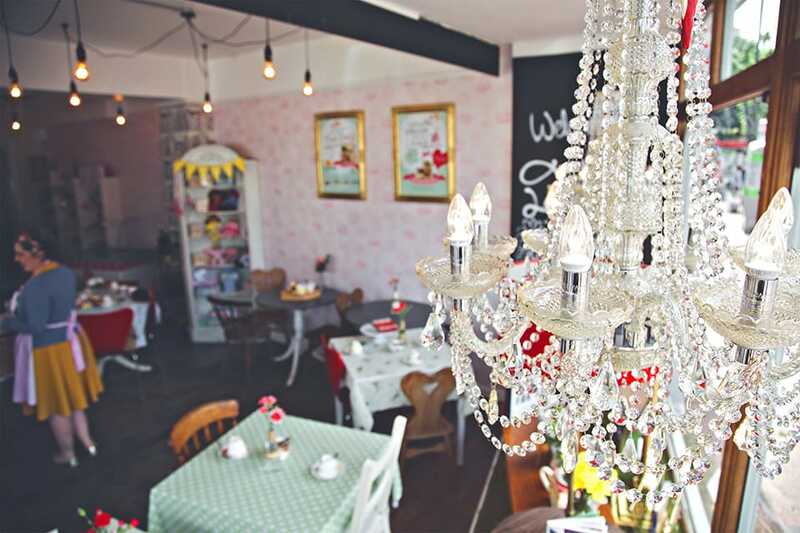 Donal commented that he loved how we had captured the essence of a traditional style tearoom but had made it our own with the use of quirky wallpaper, eclectic furniture, vintage crockery and window displays. He definitely loved our cherry bakewell cake and even took a slice home too! I don’t think any of us, including myself thought for one moment that we would go onto WIN the best newcomer award but we did and we are all so proud of what we managed to achieve in such a short space of time! Needless to say we had lovely evening at the Surrey Life Food and Drink Awards which was held at the gorgeous Foxhills hotel in Surrey. 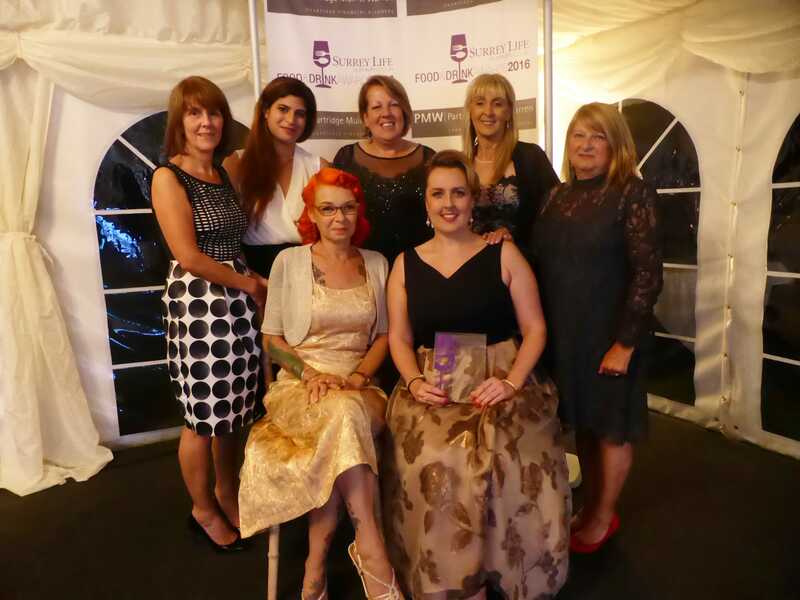 We all glammed up and were treated to a three course meal inside a wonderfully lit marquee in the stunning grounds. Winning such a prestigious award was an amazing feeling and readlly did make all the hard work worthwhile!